China Wednesday announced plans to allow the issuance of securities backed by residential rental properties amid its drive to foster the growth of rental housing market. The country will encourage companies to conduct rental housing asset-backed securitization and strengthen supervision of such securities to contain risks, according to a document jointly issued by the Ministry of Housing and Urban-rural Development and China Securities Regulatory Commission (CSRC). The issuance of real estate investment trust (REIT), a means of property asset securitization for companies to raise funds, will be piloted. 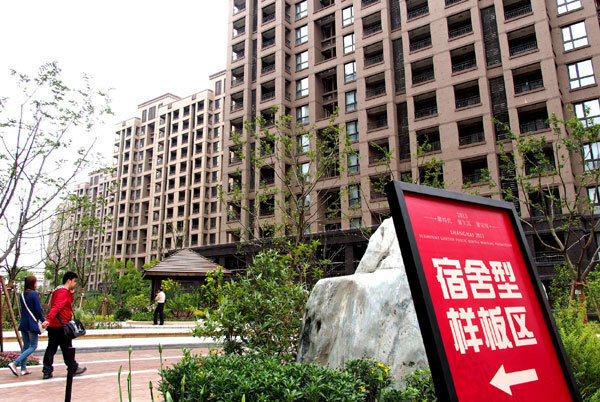 The country will encourage rental housing companies to conduct asset securitization according to their operation conditions and financial demand, the CSRC said on its website, adding that this will reduce the companies' leverage ratio and diversify options for investment on the capital market. Companies will have to meet certain requirements to issue such securities, including the underlying property such as an apartment must have been built with clear ownership and the companies must have a clean record of abiding by laws and regulations during the past two years. Large and mid-tier cities, the Xiongan New Area and cities under the pilot program of building rental housing on collective construction land will be the first to get the green light, according to the document. This comes as the country strives to develop the rental housing market as one of the long-term strategies to ensure sustainable and steady development of the real estate market, alongside various home purchase restriction policies. Authorities have reaffirmed their commitment to ensure a stable housing market and secure supplies of housing through multiple channels to meet residents' demand.